There are still a few weeks to go before schools in the UAE reopen, and if you are one of those who haven't been able to travel abroad due to work commitments or high ticket prices, now is the perfect time. Not only do you still have time to enjoy the much-needed break, you can also save some cash while you holiday. 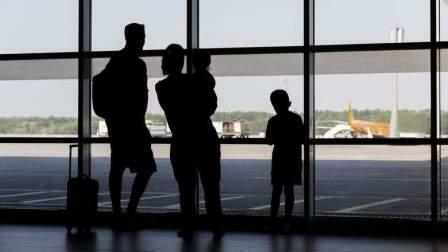 Dubai-based airline flyDubai will be flying your children for free, the carrier has announced on its website. The airline lists 14 destinations where this offer will be valid, some of them exotic spots such as Bangkok, Colombo, and Maldives. Other cities covered in the offer include Ahwaz, Alexandria, Amman, Bander Abbas, Beirut, Hargeisa, Khartoum, Lar, Mattala, Port Sudan, and Shiraz. The offer is only valid for flights originating from Dubai. To avail the offer, passengers have to book tickets between August 1 and August 10, and should fly between August 1 and December 15, 2017, the airline said. The offer is valid for both one-way as well as return tickets on economy and business class flights. The accompanying child must be more than two years old and less than 12, the airline has specified. Taxes and surcharges will apply to the child ticket.